Increasing numbers of clans are experiencing their jewelry transforming into the figure of a living Fae, and more is known about this phenomenon than ever before. Variants of all metals and all gemstones have been documented in lairs all across Sornieth. One unexpected effect of the increasing Jewelry Box Fae population is their corresponding increase in popularity. Some clans are actively seeking out, and even collecting, Jewelry Box Fae for their own lairs. What this means for the subspecies themselves has yet to be seen. Once rare and mysterious, they are now increasingly common and...well, they're still pretty mysterious. But that mystery has become appealing rather than frightening. How about you? Are you looking for a Jewelry Box Fae for your lair? Then you're in the right place. Looking for the main thread? Check the most recent posts on this thread! Breeders of all sorts will post their hatchlings, and it's a great way to find dragons that aren't listed on the AH yet. No, I'm not going to keep an updated list on the first page here. That would be near impossible to maintain. Sorry. Too shy to post? Whether you're interested in any Jewelry Box Fae or a specific variant, click on the links below for a list of all known qualifying dragons currently for sale on the AH. The large banner gets you the most general search, while the smaller buttons show you sales for specific variants. 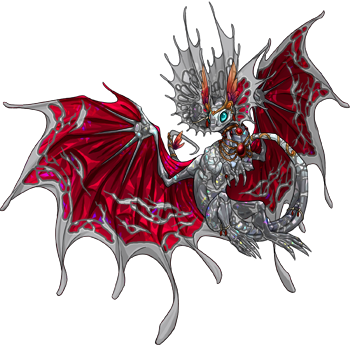 Note: I highly encourage other people to breed Jewelry Box Fae themselves, but make sure to Assay Bloodlines when finding a mate; related dragons are often a problem around here. Many pairs are only bred upon request, so if you're looking for something specific, this is the place to look so you know who to ask. Each card links to the breeder, whom you can then ask for a ping. Many breed regularly, and all are happy to breed upon request, so don't be shy asking! Have a breeding pair that fits the criteria? Willing to be a reference for those looking for hatchlings outside of my pairs? Send me a breeding card (it can be simple; I use this) and I'll link it to your hatchery or userpage under the appropriate variant heading! Use the pinglist to find people who want dragons like the ones you're selling. Please don't abuse the pinglist, and only ping people for things they're actually interested in. Keep your post as up-to-date as possible. That means removing hatchlings as they are sold, not just a strikethrough. Obviously it's fine if it's not always current, people do have lives outside of FR (crazy I know), but just do your best. Try to keep only one post active at a time. This will make it easier for you to follow the above rule about keeping posts updated. If you still have unsold hatchlings from last time, you can consolidate by removing the images from the old post (replace them with "moved" or something) and adding them onto your new post. Or do the opposite: update the original post with the new hatchlings, using that one post as your permanent hatchery spot. The form above is good for the latter type. If your hatchlings aren't selling, either wait until the next clutch and repost then as described above, or at least wait a week or two before posting again. Either way, don't re-ping people for dragons they've already seen. Keep discussions to buying and selling.